Three fabulous days in Tassie! 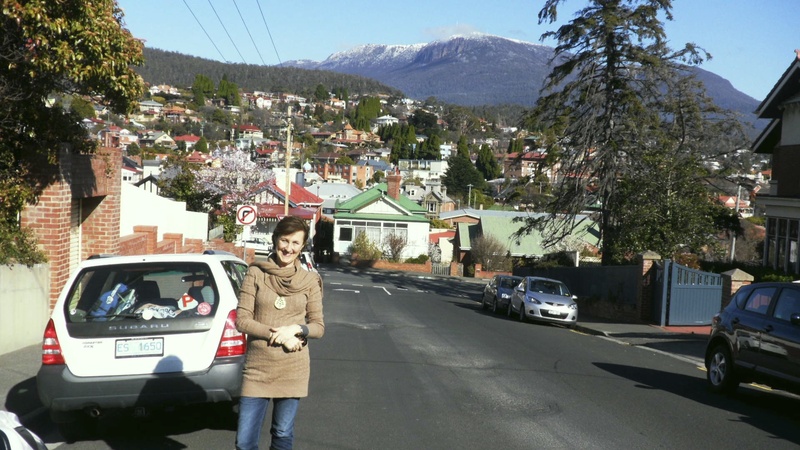 Here I am in beautiful Hobart, with Mount Wellington in the distance behind me, and standing just outside the school I attended for most of my school days, The Friends’ School! I spent a wonderful long weekend in Hobart from Thursday to Sunday morning, seeing my lovely relatives, catching up with old friends, dropping into some fabulous schools to meet the librarians, and, of course, having a very happy trip down Memory Lane! I look forward to returning next year with my Chinese Calendar Tales!